Valentine’s Day is just around the corner. Do you want to start some festive projects to give your loved ones a surprise? If you are a crochet lover, crochet heart patterns are always a popular choice at Valentine’s Day. 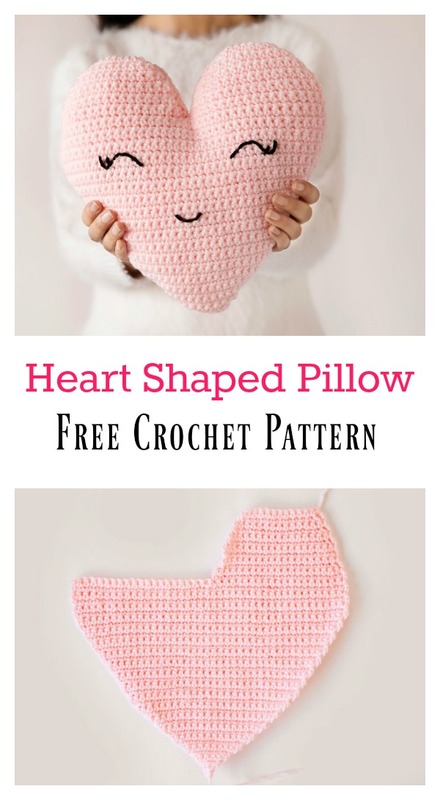 You will fall in love with this Heart Shaped Pillow Free Crochet Pattern. It would add a beautiful handcrafted touch to any chair, bed, bench or couch. It is made in separate pieces worked in flat rows and joined together. Single crochet makes this pillow in no time. Thanks Leelee Knits for sharing this free pattern. The link for the free pattern is provided below photo. Happy crocheting.